Okay so, having lived in London for much of my life, I have now compiled a short list of all the different things that Londoners regularly dream about, this is a satirical post of course, however I’m hoping that some of you will find it at least marginally funny or humorous. 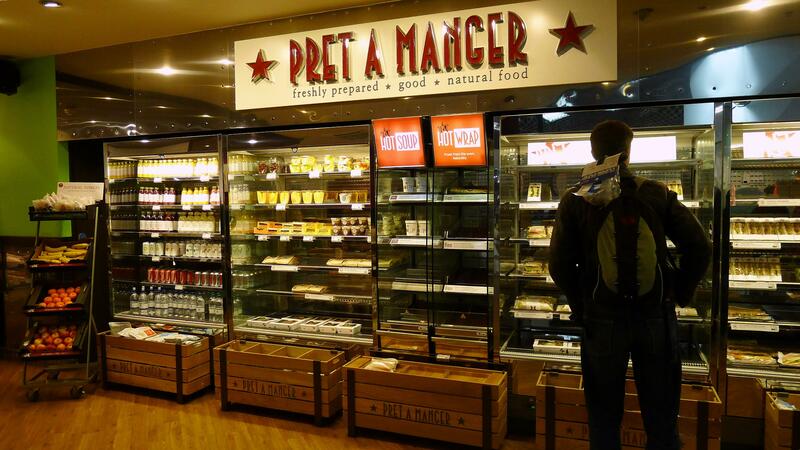 We all feel that Pret coffee is the finest around right, well – if so, that’s certainly got to be one of the 5 things that all Londoners regularly dream about, right? What I mean here is that Pret a Manger started giving out free coffee to commuters on a daily basis, we’ve all seen it happen to people around us in recent times, but it has never happened to us? Why is this, are we just too ugly to get one, or are there other more sinister reasons? Who knows! I’ve literally heard conversations about this on the tube on an almost daily basis too, it really is hilarious and is something I look forward to hearing on my daily commute in to the office. It’s discrimination right, isn’t it? Another thing that is along the same lines as the free Pret coffee is the broken bus oyster card reason, we’ve all also seen this or had this happen to us too. The bus driver simply waves everybody on so that nobody has to pay, some people claim to have it happen to them on an almost daily basis, whereas for other’s it’s more of a one off situation. Unfortunately this will never happen on the tube due to the increased number of card readers, however if you find yourself commuting on a bus regularly then there is no reason for you not to get this too. Just keep your eye out, the machine usually reads red rather than orange and green, if you see this then you’re on to a winner! The final thing that people that live in London are regularly looking for or dreaming about is a world without queues, unfortunately it’s only going to get worse in London as time goes on. However, can you imagine how awesome it would be to rock up to a venue or even a small shop and there be absolutely no queue, that would be fantastic! For many of us, this is a long shot and is difficult to see it happening soon. If you have any additions to add to my list, yes I only did three as I’m sure many of you noticed, then please let me know and I will include them in a follow up post in the next few days or so. My next post is going to be about something a little bit more exciting so please keep tuned and keep spreading the love to all of your friends and family. Thanks guys!